Situated in the East Texas Piney Woods, Longview was established in 1870 when the Southern Pacific obtained land and built a railroad station. In 1873, Longview became the county seat of Gregg County and prospered as a rail, cotton, and manufacturing center. The East Texas Oil Field was discovered in 1930 and the world’s largest pool of petroleum created a boom that drew many residents from the depression-struck economy that encompassed America. Today, Gregg County is home to over 120,000 residents who enjoy a prosperous, diverse economic base as well as being the home of the Great Texas Balloon Race. The Gregg County Sheriff’s Office is entrusted with the responsibility to serve and promote safety for our citizens. This office is under the direction of Sheriff Maxey Cerliano, the twentieth Gregg County Sheriff to partner with the community to provide quality, professional, and ethical law enforcement. 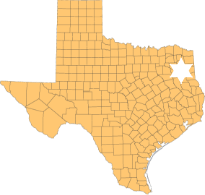 Gregg County is located on I-20 between Shreveport, Louisiana and Dallas, Texas. Along with several other major highway systems that cross Gregg County, we stand posed to accommodate the needs of our citizens as well as having a plethora of amenities to attend those that visit our county from across the nation. If you wish to provide a compliment or file a complaint on the conduct of any of the Gregg County Sheriff’s Office employees, you can do so by contacting Captain Craig Harrington either by calling (903)236-8400 or emailing him at [email protected]. The Gregg County Sheriff’s Office mailing Address is 101 E. Methvin Longview Texas, 75601. Today, Gregg County is home to over 120,000 residents who enjoy a prosperous, diverse economic base as well as being the home of the Great Texas Balloon Race and Alley Fest Arts Festival.